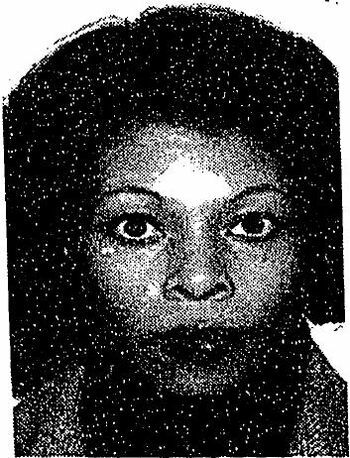 Photo of fugitive Assata Shakur. Not content with losing its first eight games of the season (a franchise record low) or winning just seven out of its last 40 games, the San Francisco 49ers football team announced it is doubling down in its efforts to offend its fans even more grievously: On Thursday it announced that the team would be donating $500,000 to a gaggle of anti-gun groups working to ban “bump stocks,” gun suppressors, and so-called armor-piercing bullets. Nick Wagoner of ESPN delivered the news as follows: “The 49ers announced … that they are joining local and national law enforcement in signing a pledge for a ‘more understanding and safer America.’ The Niners have pledged $500,000 toward the campaign [the Pledge for a More Understanding and Safer America], which will advocate for legislation banning ‘bump stocks’ and other mechanisms that allow semi-automatic weapons to become automatic weapons, as well as silencers [suppressors] and armor-piercing bullets.” The coalition included left-wing, anti-gun unions, such as the San Jose Police Officers Association and the Los Angeles Police Protective League. The duty of law enforcement must also include actively participating in bringing our nation together and working to foster a more understanding and compassionate national dialogue around community and police officer relations. Here is a professional football team with so little offense that it hasn’t won a game all season, yet it is determined to continue to offend its steadily declining number of fans by attacking their Second Amendment rights, as well. For Kaepernick this movement obviously has precious little to do with the flag or the national anthem but everything to do with the communist objective of denigrating local enforcement and replacing it with a national or federal police force. One way that Kaepernick is “addressing” the oppression he sees is by giving money from his foundation to “Assata’s Daughters,” named after Assata Shakur, who was convicted in the cold-blooded murder of a New Jersey State Trooper in the 1970s. Assata Shakur, born JoAnne Deborah Byron, joined the Black Liberation Army (BLA), a violent offshoot of the Black Panthers, in the early 1970s. Because of her radical activities, she was targeted by the FBI’s Counterintelligence Program and was placed on the Bureau’s Most Wanted List. She was involved in three bank robberies, the kidnapping and murder of two drug dealers, and the attempted murder of two policemen. 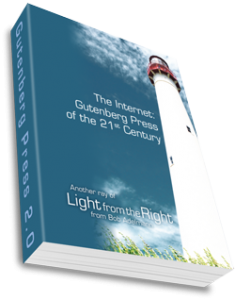 In May 1973, she and her brother-in-law, another BLA radical, were pulled over by two New Jersey State Troopers because of a taillight violation on the New Jersey Turnpike. The traffic stop turned into a firefight. The radicals opened fire on the troopers and in the melee that followed, Shakur grabbed one of the trooper’s firearms and fired two rounds into his head, execution-style. Kaepernick, who has lauded mass-murdering Cuban dictator Fidel Castro, and radicals of his ilk are unlikely to be put off by a donation that will — wishful thinking — supposedly help save the lives of blacks. This entry was posted	on Tuesday, October 31st, 2017 at 5:40 am	and is filed under Politics, Second Amendment. You can follow any responses to this entry through the RSS 2.0 feed. You can leave a response, or trackback from your own site.